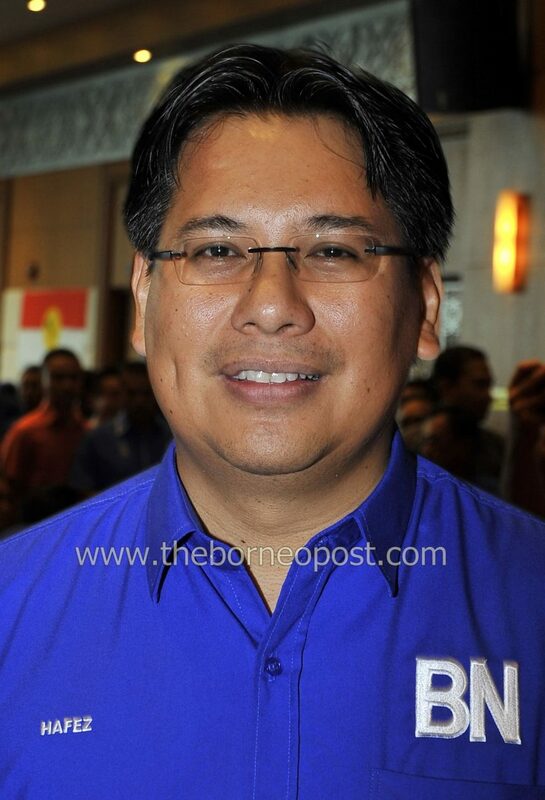 KOTA KINABALU: Sabah Barisan Nasional (BN) Youth chief Yamani Hafez Musa is happy that youth leaders from the coalition’s component parties have been given the opportunity to contest in the 14th general election. “I was hoping for more candidates from the Youth movement but as it is I am quite happy because there is representation from across the board, from the component parties, especially in important seats like in Parliament. “It is good news for the state and nation that we have a balance list of candidates, senior politicians and young people,” he said. Hafez, the 41-year-old son of Chief Minister Tan Sri Musa Aman, has been nominated to contest in the Sipitang parliamentary seat.